Rand & Jones Enterprises Company, Inc. (R&J) is a full service general construction firm as well as a building materials supplier. Founded by Joan Yang in 1985, R&J has since completed more than $180 million of construction projects. R&J's expertise covers general construction, construction management and design-build projects. 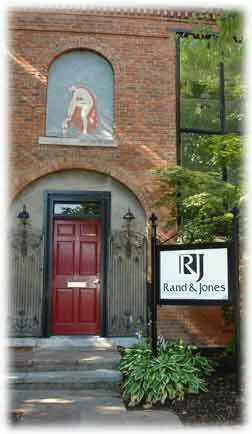 Rand & Jones is also engaged in Real Estate Acquisition & Development to build up a real estate portfolio. R&J supplies a wide range of building materials including plumbing and heating materials and equipment, electrical supplies and lighting, safety supplies, roofing materials and Division 10 specialty building materials. Rand & Jones was nominated by SBA Washington as the national 8(a) Graduate Award Winner in 2008, and continue to thrive as a certified HUBZone business, owned and staffed mostly by minority women. R&J is the contractor of choice for many local, state, and federal agencies.